Thought it was time to change my blog header and a few other details herein. These days I really cannot call myself a trail runner – and most certainly not an ultra-distance one. I have traded in my running shoes for a trusty two-wheeled steed and starting to love the freedom, speed and endorphin rush that this brings. I still look at trail runners with huge longing and envy, but know that this is not to be for a good while. At least I still get to spend vast chunks of time sucking in lungfulls of mountain air, watching the sugarbirds flirting with blushing proteas and taking in some of the most spectacular and unique views in the world from lofty heights. 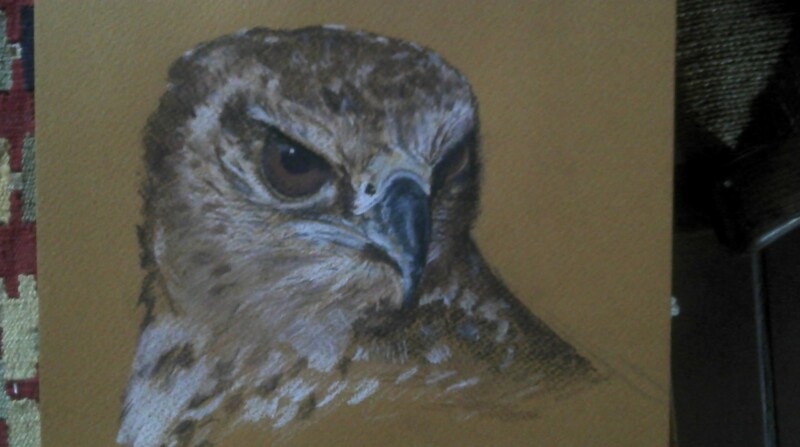 Onto more sedate and less cardiovascular pursuits…I have been dabbling in coloured pencil work again and yesterday spent about an hour on this juvenile martial eagle. 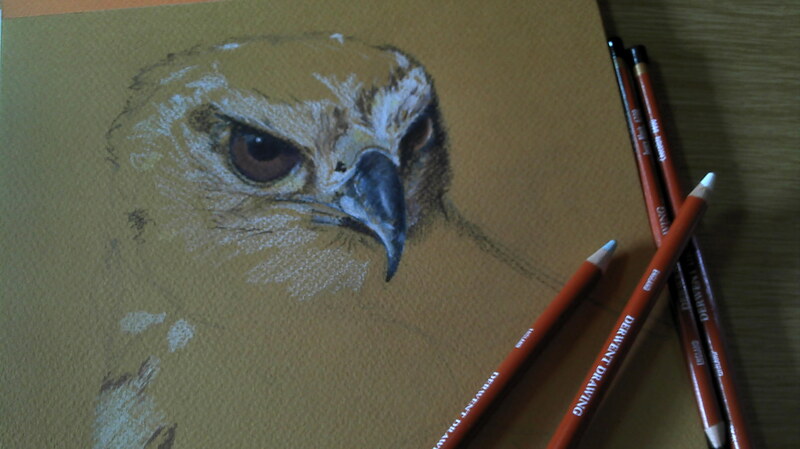 There is plenty of room for improvement (I know) but I am really looking forward to playing with all the marvellous textures and colours (of all the faunal and floral subjects) on this wonderful continent. And how lucky am I to have Fynbos as my chief inspiration and canvass?